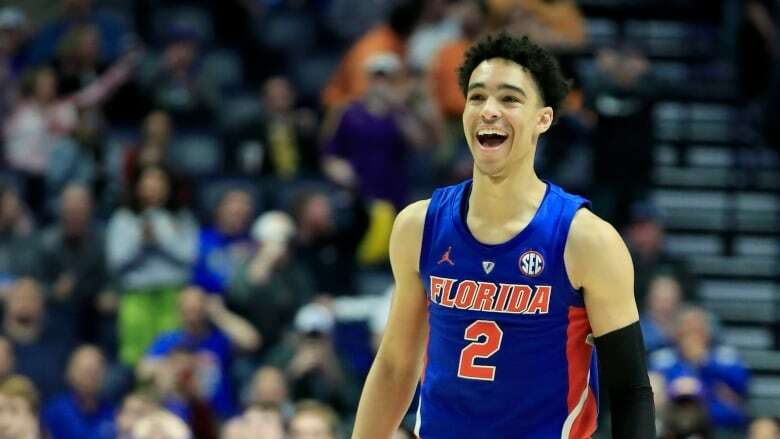 Canada's Andrew Nembhard hit a three-pointer with a second left, and Florida rallied from a 13-point deficit in the second half to upset nationally ninth-ranked LSU 76-73 Friday in the Southeastern Conference Tournament quarter-finals. 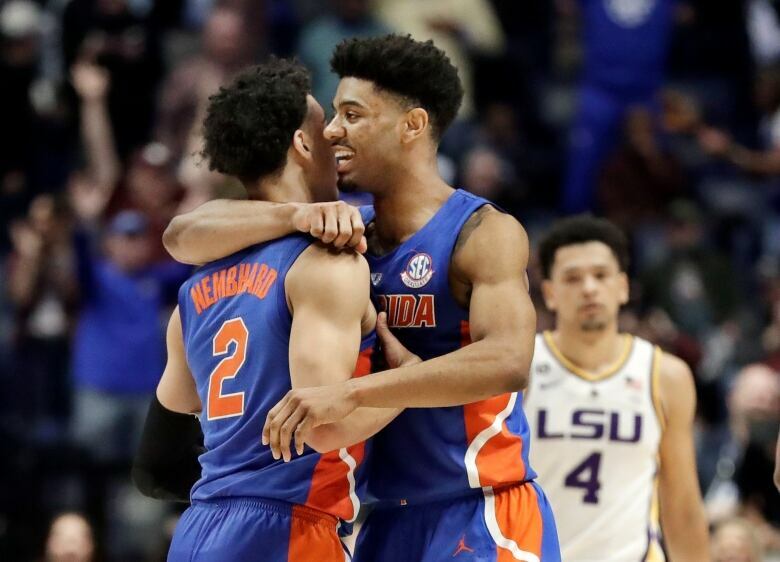 The SEC regular-season champs had one last chance as Will Reese threw the ball deep to Naz Reid, who couldn't catch it while defended by a pair of Gators before the buzzer. Nembhard, of Aurora, Ont., led five Gators in double figures with 20 points. He played from grade school through high school with Duke's R.J. Barrett before going their separate ways for college. Eighth-seeded Florida (19-14) now will play either No. 22 Auburn or South Carolina in the semifinals Saturday after a thrilling comeback that firmed up the Gators' chances for an at-large NCAA Tournament berth. LSU (26-6) was a 3 ½-point favourite and had won five straight without coach Will Wade, who remains suspended indefinitely despite asking Thursday to rejoin the Tigers for the post-season. The Tigers did have freshman Javonte Smart back after LSU announced a couple hours before tipoff Friday that the guard has fully cooperated in a "joint inquiry" with the school and the NCAA. They accepted their trophy as the league's regular-season champs from SEC commissioner Greg Sankey before tipoff in a subdued ceremony. Then LSU led 35-25 at halftime and as much as 42-29 with 16:52 left. Florida clawed back into the game by hitting eight straight shots and 10 of 11. Jalen Hudson made a pair of free throws with 6:05 left to give Florida its first lead of the game at 58-57, setting up a frantic finish. LSU led 63-60 when Keyontae Johnson hit a 3-pointer, officials called a foul on LSU and the LSU bench was also assessed a technical for arguing. KeVaughn Allen hit a pair of two free throws, and Kevarrius Hayes hit one for a six-point play. Reid hit two 3-pointers in the final minute to tie it at 70 and again at 73 with 13.2 seconds left. Then Allen passed out to Nembhard at the top of the key for the winning 3.